Academy Sports Club players celebrate their second goal. 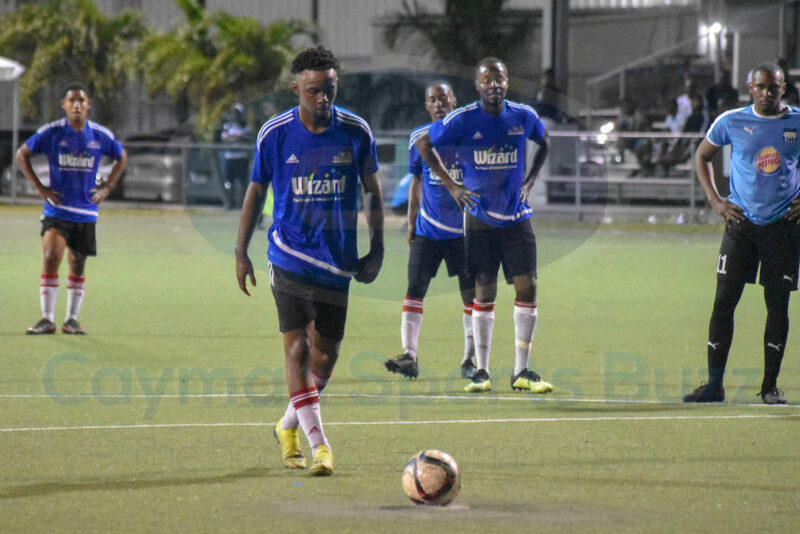 Academy Sports Club left the Annex Saturday night (9 February) satisfied after a hard-fought win over Elite Sports Club in a top of the table clash that saw them take over the top spot in the 2018/19 Cayman Premier League standings. 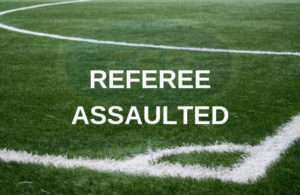 Academy found themselves down early as the prolific Christopher Reeves put Elite in front in the 5th minute with a rocket that was Rhon Royer between the pipes for Academy could not get a hold of. Jimal Lawson’s header from a set piece in the 18th minute equalised for Academy before Jonah Ebanks found space to give them the lead in the 33rd minute with his 10th of the season. Academy’s lead was extended in the 62nd when Ebanks was tripped up in the box and converted the ensuing penalty to make it 3-1. Jonah Ebanks scored his second goal from the spot. In the next minute, a streaking Reeves pulled Elite back within one with his league-leading 19th goal of the season. 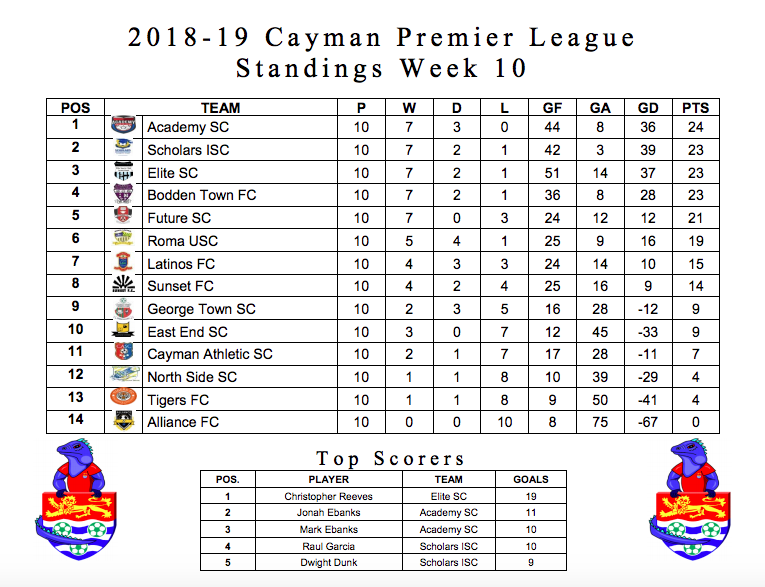 Two equally matched teams hit the pitch but it was Academy taking the maximum points to leapfrog Elite atop the table with the 3-2 win, pulling a point ahead of the former leaders in the Cayman Islands Football Association’s senior league. He was also full of praise for the defensive unit for keeping the Elite attackers at bay. 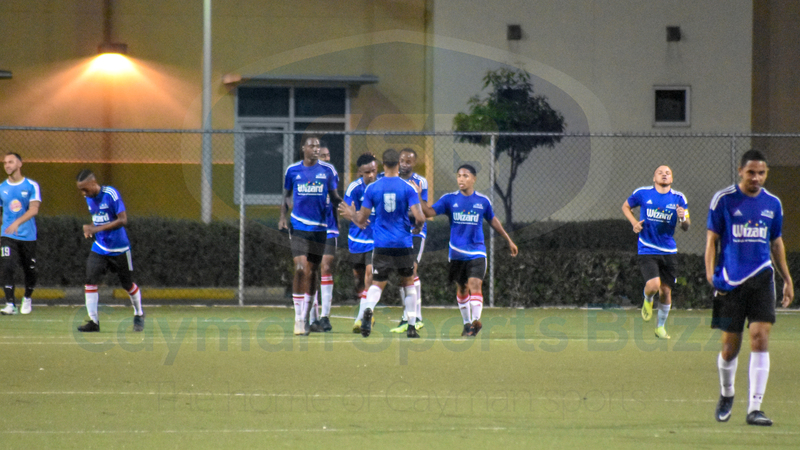 In other weekend action, Scholars International scored an improbable 17 goals in a shutout over bottom-of-the table Alliance FC at Ed Bush Sports Complex Saturday night to move into second place. 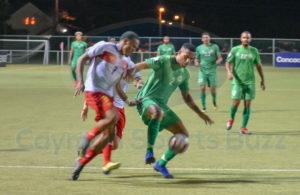 Dwight Dunk scored six goals (7’,20’,37’,42’,44’,56’), Rolly Bodden added a quartet (74’,87’,90+1’,90+2’), while Raul Rodriguez Garcia’s hat-trick (36’,45+1’,58’) took his season tally into double digits. 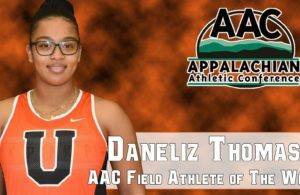 Oneil Taylor added a pair with other goals coming from Rodrick Pearson and Terrence Thomas, the latter getting on the scoresheet after returning to Scholars after a half-season with Roma United. 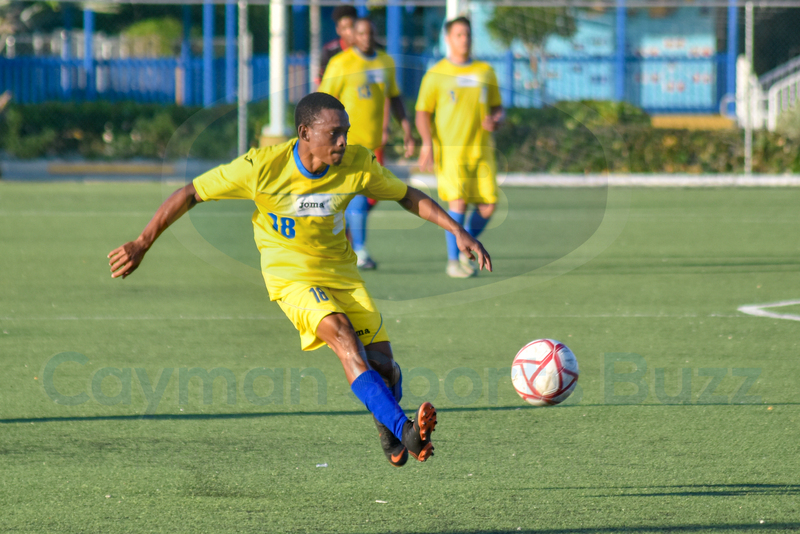 On Sunday, Bodden Town FC beat Roma United 2-0 with second half goals from Tevon Levin (60’) and Darvin Watson (75’) to pull level on 23 points with Scholars and Elite. Sunset FC and Latinos FC played to a scoreless draw at the Annex Saturday night. Teenager Barry Dre Tibbetts led the way with a hat-trick (32’,39’,56’) as Future Sports Club downed Tigers FC 4-0 to move to fifth in the table. The other goal came courtesy of Alexander Clarke in the 51st. East End United def. 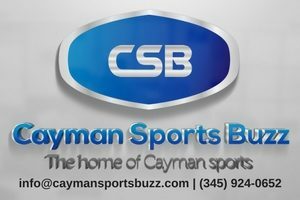 Cayman Athletic 1-0 with a second half goal coming from Sean Ebanks. There was a scare as Athletic player Rico Bodden Jr collapsed during the second half and was unresponsive. The match has paused as an EMS crew aboard an ambulance came to take him to hospital.